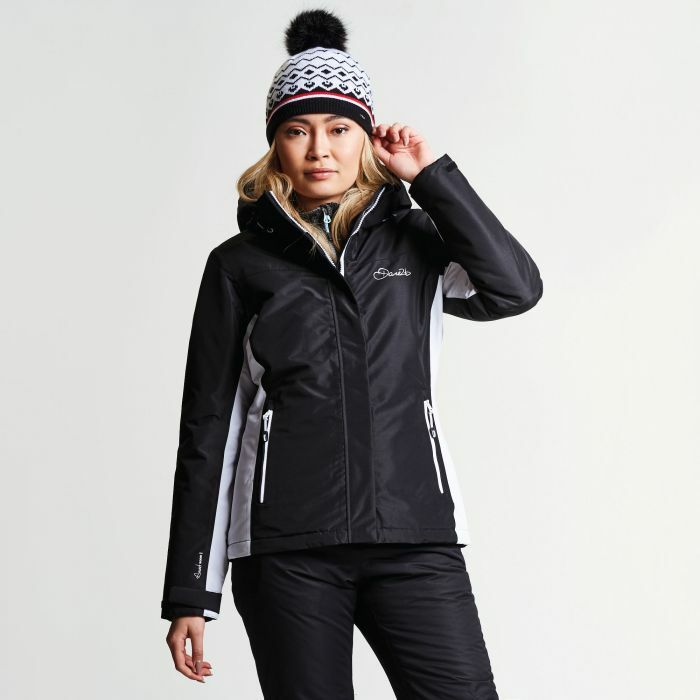 Warm, waterproof and ready to hit the slopes. ARED 10 000 ski jacket. Made from breathable woven polyester fabric. Sealed seams. Fully lined with high warmth, low bulk insulation. Sleek stormflap. Peaked foldaway hood with single pull adjuster. Powder blocking snowskirt. Zipped pockets, including one for your ski pass. Mesh goggle stash. Adaptable warmth and comfort from the first chair up to the last run down.